You might wonder what the future holds for the power level system, character leveling, itemization, and class sub-specializations, and since these are very crucial mechanics of the game, we have great plans for them. Finalizing and sorting out these features is a huge undertaking, but it is also one of our most important goals for the summer. First of all, thanks for all the feedback, even this post wouldn't have came to life if it weren't for you guys. So, when's the big stuff coming? The next two content patches will deliver the next couple milestones, hopefully during early autumn, the game will have the finalized elements of these features and our job will "only" to balance them. Currently, if you choose a class, you get to choose the sub-spec, or background spec of the class, e.g. Heavy Crusader, Melee Assassin, and so on. Sadly though, right now the only difference between these sub-specs is the starting gear. Our vision for this is an entirely different starting specialization for each class. How we want to accomplish this is by controlling the portion of the skill tree available right away for fresh characters. There will be 18 inclusions in the starting skill tree, allowing us for creating various starting skill-sets for different sub-specializations. On top of this, each background will control the ability points, starting equipment, and more importantly, sub-specs will define the way how new equipment will be unlocked during the course of leveling. This of course means a "slight" redesign and rebalance of the current leveling and loot system, and we are sure that it will be really exciting, providing a much better gameplay experience. First and foremost, the loot distribution at the end of missions right now is quite mundane and we don't feel that it is rewarding enough in its current form. Loot is a very important part of an ARPG, most players sink in quite a few hours just to improve a few stats on an item, and we want the feeling when you finally get that new Artificer item with perfect rolls to be memorable. Therefore, there will be a new, more informative loot window at the end of missions, showing players the exact source of the loot during/after the mission. The new loot window will go hand-in-hand with a new technical improvement, which is seamless loading. Currently in its testing phase, the Seamless Loading will effectively eliminate all the static loading screens within the game, buffering game content while players are actively interacting with the game - collecting loot at the end of missions, for example. This game is big. Throwing fledgling Inquisitors into the Caligari Sector without proper training is something that is only possible in such early stages of the Founding. The first few chapters of the campaign will be proper tutorials, showing newcomers around in the game world, and introducing them to the tactics they'll need to survive against the hordes of heretics. These will be completed around fall, and this somewhat hinders our efforts to balance character leveling a bit - we need these chapters done in order to dial in the XP and difficulty settings for character levels. The enchant system for items is being completed as I am writing this - currently we have a few dozen item enchants (unique item attributes/properties) in the game, we are pumping that up to over a hundred at the moment. Of course, the unique items with their specific enchants are on their way too. These items will introduce a new item rarity that only the worthy can obtain. Praise the Emperor! We will also tweak the base values and existing enchants, so that various different item categories will have more important roles within the game. Enchants of Rare (Green) and Artificer (Purple) items are basically interchangeable right now - this will change soon. Artificer items will be able to receive more powerful enchants easier, and the base damage/damage reduction values will also be tweaked in the close future. Power levels are closely related to in-game difficulty and itemization. Currently a single power level lasts very long. Our vision for an average player is to gain a new pover level every 4-5 days, so we will improve on the current situation. Gathering and finalizing "end-gears" is not the goal of a power level in our minds, and while it may have seemed like it, power levels do not hold a great challenge at the moment, oh no - there is more to come. In the future, Power Levels will be attained more rapidly, and there will be a lot of them, so Power levels will only change the base attack/defense values of items. This is a compromise that we had to make. We tried dozens of methods to find a way to improve every stat of an item with power leveling, but it just did not click as the base values got inflated way too much. With such a complex power level system, PvP would be nigh impossible without a bunch of special rulesets, not to mention that we would have to synchronize monster levels to the player's power level (similar to most ARPGs) - but losing the constant challenge factor and the joy of exploration in the process. From here, hopefully you can understand why we scrapped the power levels' greater influence on itemization. What will truly shed a new light on itemization and make gathering gear a really fun and rewarding adventure is, besides the rapid gain of power levels, is the TIER gameplay. The game will be divided into large chunks of difficulties - subsectors. Every subsector will represent a player Tier. One Tier will include 10-20 power levels to gain. Arriving at the end of a tier will mean maxing out the current content and gathering "end-game" gear - until you arrive at the next tier, the next subsector, of course. This is where the new item rarity,currently named Relics, will come into play, with more powerful, unique enchants, special skill combinations - and badass looks. Relics will be basically the best-in-slot items for the tier, allowing players to max out the content available for them in that subsector (endless missions, for example), and pass through to the next Tier, opening up a new Subsector. Gaining access to a new Tier will mean a jump in the base values and an increase in specific enchants of items, and of course it will mean access to new items: new patterns, new skins (Customizable equipment will be a big deal in this game), and new Relics. The start of a new Tier means the start of a new farming period as well. Of course a tier doesn't only mean a couple new items, skins and an increase in stats. Players will gain access to new solar systems, new enemy types, which means new storylines will come into play - and the whole thing will be tied into the Season system as well. In a nutshell, this is how the future of the game is laid out - only the most basic layers of this are visible for you right now, but in the very near future, we will switch gears and implementing new content will be our primary goal in the next couple months. Some of these elements will see the light of day in July, and in August the new Rebel faction will be introduced. In September however, our plan is to implement the base form of everything above, excluding Tier transitions. 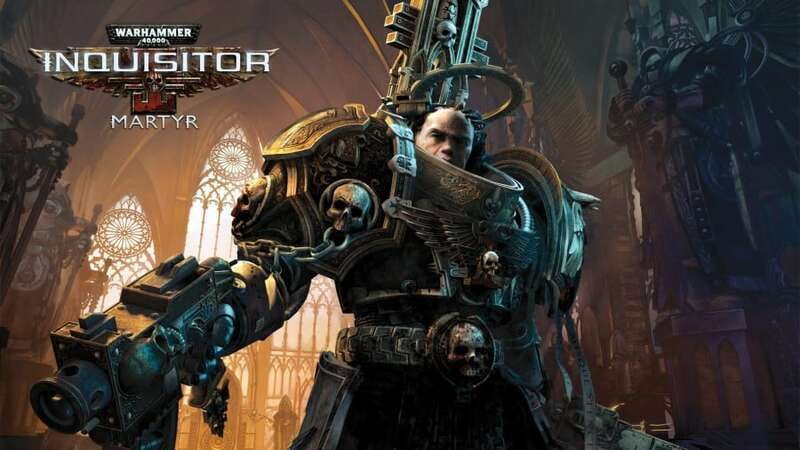 Hyped, beyond words...... tis a good day to be a 40k and arpg fan. Right... So I think it would have been far more reasonable to say "Some classes in some games lack the damage to otherwise tackle certain content have been balanced by becoming reliant on this mechanic, mostly in the horde style ARPG's" - Rather than quoting it as being 100% integral to the entire genre as a statement of fact. So returning to my original point. I personally, don't think it adds anything to the game or player enjoyment given that in many games balance around simple damage increases to achieve the same result. I "personally" prefer to see classes capable of dealing with the game content without such affixes, as a personal preference. Chance on hit to succeed i've always found to be less preferable to something that is more predictable. But while on the subject, the random chance on hit % really are there for horde mode games. To make sure that when faced with greater forces, hitting greater numbers, you deal / mitigate more in order to cope. I'm really not convinced Martyr with it's strategy based combat and cover system will ever see a "Horde" style of gameplay although in part I hope im wrong. Apparently I've just gotten really unlucky in my maprolls then... I've been facing rather sizeable blobs (500pts+ worth of Chaos infantry, easily, though Nurgle armies have always been expensive) in most of the missions I've rolled. Nothing like opening a door, moving to cover, and then having 30 goons bum-rush you with fire support from at least two Plague Marines and four of those obnoxious melee elites. With the really slow movespeed, four out of five times I'm dead, through cover, before I can even disengage. And that's with void shields as a survival booster and liberal use of either the tarantula turrets (Gabriel) or Cyclon fire (Cyclone typo?). When the game lobs a stationary weapon and a Dreadnought at me in the same wave it's just extra. I'd really love for the guardsmen to not be a waste of thrones, too. They're decent little force multipliers for the ten seconds they survive because they don't move to cover (I was expecting them to behave using some of the enemy AI, and have them moving to nearby cover like ranged enemies do). Not that I enjoy pulling people up on things, but if you are going to claim that "you know nothing john snow" or "you have clearly no experience with" then you best have plenty of evidence to backup your claims. On the subject of "High level ARPG content" - Could you be more specific? I've played several ARPGS. Most notable a few hundred hours on the most popular two of our current times. D3 and PoE. Also some lesser hours on others. Neither of these games benefited in any way from this mechanic from what i've observed. None of the most popular builds to my awareness use or rely on this mechanic because strangely enough damage is called upon to kill mobs, not a chance to randomly kill them. Sure, "some" ARPGS might use the mechanic but it isn't mainstream by a long shot. Nor is it common place. But the point being made that it doesn't add anything other than a fairly unimaginative gimmick. There is no logical sense a "high level damage" glass cannon should rely on a random proc to kill something? The only times it's ever made sense is on Zdps tanks who want to be less useless. Re movement speed - There will be a movement skill tree and other various options to increase it :) as you might be new i'll fill you in on a TLDR of the previous responses to this request. They don't want us starting at "the perfect pace" and would rather as we play we slowly build up to this. So much like other ARPG's we will see the scale and pace of the game increase as we level. Grim Dawn (as mentioned) is the easiest example (though Torchlight 2 also comes to mind once you get past NG+), before you even break the barrier as a caster into Elite you're absolutely relying on gear-based %death procs to thin out the hordes and trigger your on-kill survival mechanics (usually, again, gear-based) because you will die in two hits if you're lucky, more likely you'll get CC'd by an off-screen caster and then get mulched without it--especially as a DoT build. Pet builds ignore this, and I can happily scroll through the Neocore forum while they clear the map posting in my excessively abrasive manner, as do high-resistance physical builds. The Arcanist builds partially avoid this by just dealing absolutely absurdly broken amounts of damage to huge areas. I have a decently geared 45 Arcanist in GD that deals 50k DPS to a 12 meter area (that's single-target damage per second, not total damage across the area) because I capped the ult. I can't do that with my DoT Occultist. I absolutely require %death gearprocs against clumps, because unlike my Arcanist build I don't have the wealth of built in high damage boss-melters. I have a moderate AoE dot, a slow that has a high chance of being ignored, and a debuff that simply increases the amount of damage mobs take. When a tick has a chance to drop five or six mobs so that I can recover a lot of the health I lost getting into range to drop that DoT, because on-hit requires you to use the weapon, not your skills, I am absolutely going to defend its inclusion in the game; as it's no longer a gimmick but a requirement to keep the class viable past mid-game first playthrough. RE your movement speed comment: this is good. It's... painful right now to even attempt to play around with a Crusader while enemies can still fire through terrain. Well, as opposed to yourself; I was referring to you referring to yourself as "we" and "us" or otherwise in the third person, which alongside your self-aggrandizement really just distracts from any point you may have been making and makes your posts obnoxious to read when they may otherwise have a good point, and they do indeed have a good point. I actually wholeheartedly agree with you. I think it's incredibly...let's go with "silly"...that games insist that, most commonly, PvE should be balanced around what works in PvP, solely because by and large PvP players are far more vocal and irritable on most game forums. I hate PvP in every game it has ever been in. I hate it, I refuse to touch it. However, I do not for a moment think that it should cease to exist; rather, I do not think my play experience should be structured around the internet-approved PvP build of the week when all I want to do is shoot PvE mobs in the face. With that being the case, I as a PvE player have a vested self-interest in ensuring that I do what I can for A) PvP being at least somewhat balanced and B) that it is balanced apart from PvE, and therefore as I've said I agree with you. Normally the best resolution is the GW2 style, wherein everyone is forcibly equalized for PvP, although that is itself anathema to ARPG gameplay. Then again again, PvP itself is already a fairly awkward fit for ARPGs to begin with, and as such unconventional solutions can and should be explored, especially with a game like this, in its infancy. I think every ability in the game should have different PvP and PvE effects. For example, where you mentioned a 1% chance to insta-kill a mob, against players this could instead be, say, a chance to instantly deal a large chunk of burst damage. Thematically it is similar, gameplay-wise it is similar, but it is far more fair. Things like that. Have PvP and PvE skills function differently depending on the Mission_Type flag. It's a relatively simple concept: FF14, for example, is built around this, so my PvE skills are never touched in the constant PvP rebalancing act that occurs, and it allows the devs to continue to fine-tune content without having a (generally hugely) negative impact on PvE. Re-speccing a character every single patch is the foul work of Tzeentch, and is depressingly common in almost everything with a mixture of the two content types. So largely, I agree with you, but not many PvP players. Actually, I have a tendency to abhor PvP players based on my experiences with them over the course of my gaming lifetime--apparently these days, "skill" is largely "I have a group of five players kitted for cheese, and our skill-kill is ganging up on a single player". So anything that detrimentally effects their play experience is usually cause for celebration for me. As for the poster commenting "insta-kill chance is unneeded", someone has clearly never played high-level ARPG content as a glass cannon class. Ever. That insta-kill proc is vital as a cloth-caster in most ARPGs (a great example is the wondrous Grim Dawn as a high-level DoT toon) because you'll be relying on it to thin incoming damage, increase survivability (when tied with the generally required health-on-kill and energy-on-kill gear), and deal with the hordes of mobs that are inevitable in ARPGs in general. Vaguely related in regards to PvE content... move speed needs a bit of a balancing pass. The synskin works as expected, but I find it strange that even lacking the black carapace, master-crafted power armor is this clunky when not the rare human-scale Tactical Dreadnought Armor. Termies can outpace my Crusader with ease at a slow walk, which is a bit off--especially considering the fact that Inquisition power armor variants are well known in the fluff for allowing the user to sprint for short periods, so moving at a pace slightly above "infirm servitor" would be quite appreciated. Currently I'm rocking an Oblit's Slow And Purposeful, when the crunch-Inquisitor in power armor moves at the same rate as a standard Astartes set (six inches to six inches, vs. d6 inches counts-as-difficult-terrain). It's a little jarring for an oldschool tabletop player to run into that. All are grossly powerful in comparison to their counterpart skills and equipment. I'm not saying the balance has to be = in all cases but thus far all of the above is stuff needs a nerf in PvE as well. As for affixes like "instakill" - ofc that's PvE only.. but really who the heck needs that within a game? - It's just an unimaginative mechanic. One person, as opposed to who? Yes, I am, but I fail to see how it is relevant? Should skills or effects such as perma-stun, perma-slow be allowed in PvP? Caused by one or more players? Does it seem fair or normal, and won't it cause a frustration for a player who dies in PvP because of it? My opinion is that such scenarios, where PvP player is killed by those, and any other similar happening bordering abuse, should be controlled - same as it is for game bosses - but that those regulations shouldn't affect general PvE. Should, say 1% chance to insta-kill mobs (which existed in previous NeoCore games) be also present in PvP? I think it should be removed completely from PvP, but not from PvE. I support PvP, and adding different variants and game conditions for it, as clearly stated. I would like to see a post which uses actual arguments, instead of a blind negation of a very small portion of a roadmap I think should be done differently. Such is, what is the exact reason why PvP and PvE weapon effects need to be exactly the same, and not have any modifier which would allow better experience in both? Especially for Unique equipment, which often carries special affixes? What down-voters DON'T know, except making a meaningful answer supported by the facts or sound logic, is that we were a tester for NeoCore for years and we still have 'Official Testers Channel' at the old forums, where our comments go directly to the devs, making pure 'votes down' impossible, not to mention pointless. "With such a complex power level system, PvP would be nigh impossible without a bunch of special rulesets, not to mention that we would have to synchronize monster levels to the player's power level (similar to most ARPGs)"
- Player is NOT equal to mobs, and certain skills NEED to differ in effect. Even in early stages, some skills or native abilities make a huge difference - for example Assassin rolling around intelligently, making Melee Crusaders facing a tough choice. The third class, which he, in his wisdom expect to be buff/debuff/support/AoE based depending on player choices will naturally be the least tested in PvP (not necessarily in PvE). Mighty Snakefist SUPPORTS PvP for various reasons! As he kept on mentioning in VH-threads, the existence of certain maps increases fun and diversity and longevity of the game - many WC3 mods were popular much longer than the game itself. They were notoriously used for LAN-parties (or online matchups), providing great fun to players. Some, namely DOTA, become an e-sport. There are more, such as ElementTD, Battleships, Trolls vs. Elves and such, keeping many players happy for years. 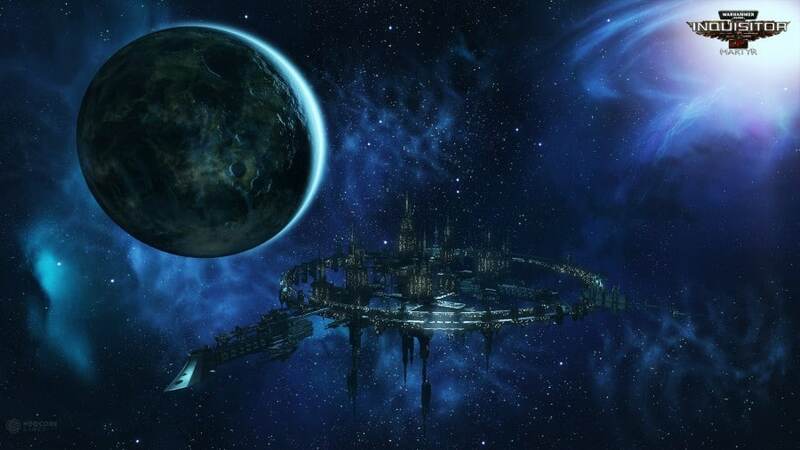 Mighty Snakefist suggested creating such maps for VH, as the others PvP modes popular in other genres, not to mention them now, but there's no reason why Inquisitor wouldn't have them - making it one of most versatile game/platform. Same is true for mixed PvP/PvE (Footman Frenzy, Dota). Defining characteristic of those mods/maps was that players start CLEAN, meaning without uber-gear and exceptionally high inherent levels - some are offering pre-defined money for purchasing items, or offering a choice between them (thus eliminating differences among players, making them equal and balanced), and not at all affecting PvE. Another potentially disturbing thing is the usage of unannounced skills without adequate defense from - though he didn't play Inquisitor PvP (which, by the way, he considers interesting), from the videos he noticed Assassin's 'bubble' trapping melee Crusaders as a great handicap. D3 has a nasty habit of putting similar skills randomly on elites/minibosses, which do an unavoided debuff like trapping players with/or without a possibility of escaping (might be on cooldown) or even using skills, resulting in very frustrating deaths. There is a possibility that Psyker will have similar debuffs (or certain Uniques, or anything in fact). Bosses and certain units in Inquisitor announce that kind of attack, which is, of course, good and fair, but player doesn't - and this could be fixed in PvE. Mighty Snakefist supports PvP unconditionally, especially having a variety of modes which can and should make Inquisitor a much better game, especially since the devs experience in hero-TDs. He thinks that one-size-fits-all balancing of items/skills for PvE and all possible PvP mode is NOT a way to go, and urges devs to reconsider balancing - most general modifiers to damage/effects on players in PvP can be generalized and some will need individual care, but this should be a minority. Just make melee playable again. Last time logged in created melee assasine went into the first mission on a planet lvl 1. First mob like 20 enemies no chance in melee got wrecked mission failed. This sounds great! Awesome, very excited, but here's a thought about those Tiers: they seem like they're forcing the "WoW Expansion Gear" effect, which is to say, I've defeated the giant dragon and acquired the Sword of Annihilating A Thousand Worlds...but then the new expansion comes out and rummaging through a dumpster will let me find a new sword that's even stronger. Somehow. Specifically this is in reference to Relics, which seem like they're supposed to be unique and powerful things, and it's important to remember that objects in 40K are characters just as much as the characters themselves. As such while this system you have laid out here is functional in and of itself, might I recommend some sort of endgame function for Relics you pick up earlier on? For example, a Kanai's Cube equivalent or so which can upgrade your Relics once you get to max level (obviously though, this process would require an extreme amount of work for each item you upgrade, extremely rare crafting mats or whatever). 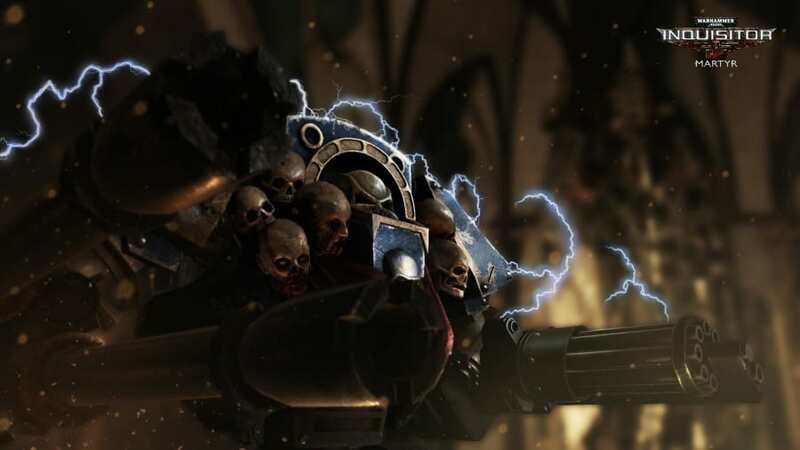 As an alternative perhaps the Relic's owners come looking for it at the end of each Tier, the Inquisition takes it or a Chapter or the Deathwatch or whatever. The intent is simply that the Relic isn't outclassed by some generic trash gear as you move forward, but you are still upgrading your gear nevertheless. Keep it up guys ! Just remember that the long term health & longevity of this game rests on the having tons of immersion in the PvE side of the game. Keep those priorities straight and this will be awesome ! as Alfabusa says, i love only the Emperor more than you! After a couple of days in hospital due to a collapsed lung this is just the sort of news i needed upon returning home. Kudos to the whole team putting heart and soul into this title, you guys are rocking it! The future looks set to hold hours upon hours of endless purging and i for one canni wait. Sounds as though good things are afoot! Some very reasuring news. Nice to see some steps toward the traditional but with unique twists. Really curious in particular to see the "end tier content" and how that works.